This makes sense; converting an answer to a comment deletes it in the meantime so it's an extra safeguard against duplicate comments. However, wouldn't it better to simply hide the 'convert to comment' option from the mod menu? It's something which is dynamically loaded based on the state of the post, so it shouldn't be too hard to filter this option out. 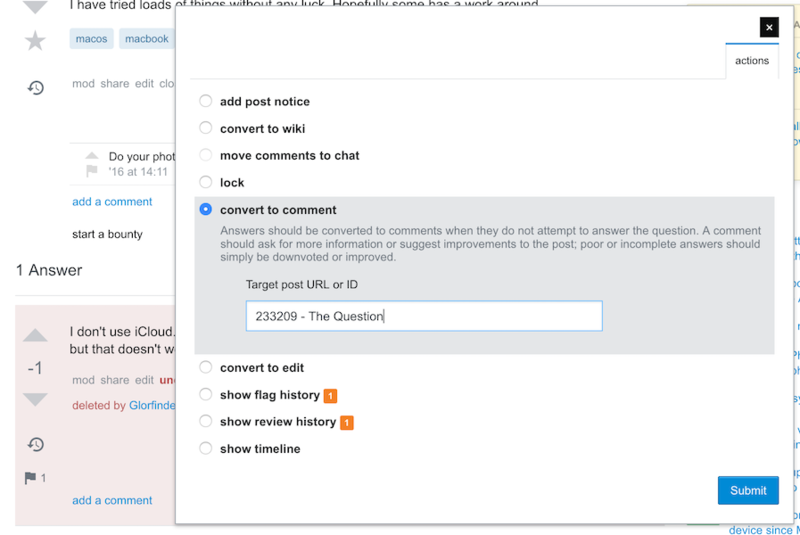 Browse other questions tagged feature-request answers moderator-tools deleted-answers convert-to-comment .